Majestic Motorsport have drives available at all rounds in 2019, including some additional capacity for Silverstone, following the entry of a 2nd car. We are a professionally run team with experience running cars in the various Caterham factory series, British GT, TVR works and even British Superbikes. Our cars are well prepared and our pit crew are well trained. You’ll be driving either our race winning 421 car in its distinctive gold over black Lotus 78 tribute colour scheme or one of our new-for-2019 build sister cars. All have low mileage engines and new running gear and are impeccably turned out. We also run taster days for the C1s based around regular track day format with plenty of time and professional tuition to allow you to get the most out of driving the cars. 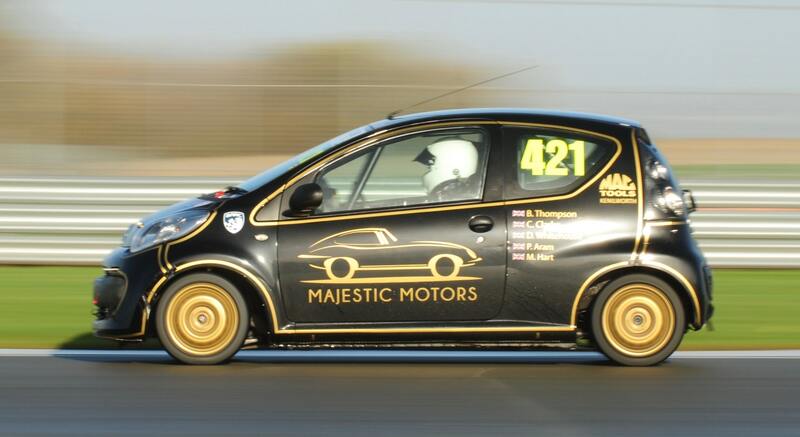 Please get in touch at https://www.majestic-motorsport.co.uk/ or on Facebook, or feel free to drop me a line at chris@majestic-motorsport.co.uk or pick up the old fashioned phone and call me on 07595 022154 to discuss. This topic was modified 2 months, 2 weeks ago by chrisc.